Feel free to contact me anytime at 571.405.8058 , whether it’s to get started on helping you realize your goals and dreams, or just to ask a question. I would welcome the opportunity to make a difference for you. As an agent who’s an expert in this local area, I bring a pool of knowledge and expertise about buying and selling real estate in the area . I will be here for you and for up-to-date information. I am more than eager to serve you. I certainly can help you with all real estate aspects 0 buying or selling ! Owning real estate is one of the most valuable investments that someone can make. 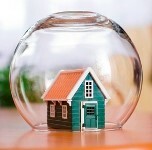 For buyers and sellers in the market today, protecting that investment is a necessity. Preventative measures are the key to safeguarding your ho me. To keep the foundation of property strong, the cornerstone of prevention is in its upkeep. Weather is typically the main culprit in systematically damaging a property. A homeowner must take the steps to defend their house against heavy rain and snow. A crucial part of prevention is to actually avoid any water entering in the first place. Installing downspouts, regularly cleaning the gutters, and having proper drainage is essential in counteracting the long term effects of moisture inside of a home. Even a little moisture can lead to considerable damage if not treated properly. Wet wood may lead to mold, mildew, and rot. Termites and carpenter ants are also attracted to wet wood and can cause even further destruction and also increase the cost of repair. Homeowners should check their roof every year and repair any leak that they may come across. Installing tools to prevent any water entering the home is extremely beneficial. A battery operated sump pump can be a highly valued asset to keep water out and will work in the event of a power outage. Concisely, regular inspection should always be done. Homeowners should look for signs of a leak by checking pipes, sinks, toilets, and any dark stains on the ceiling. In protecting your investment, you should not overlook a small drip as it could escalate into a bigger problem. By taking these preventative measures, you are not only protecting your home, but the precious cargo living inside. Whether you live in an apartment that’s tight on space or simply a house with smaller rooms, there is always a way to make your rooms appear larger. Forget the idea that you need to furnish with tiny furniture. Pay attention to your window treatments. Paint color is important too. Here we narrow it down to just a few steps you can take to make the most of your space and enjoy your time at home! Multi-functional Furnishings – There are pieces of furniture out there that can look deceiving. A flip table that can go from a low coffee table style to a raised dining table eliminates the need for multiple tables in a living space. A sofa that can easily transform into a sleeper makes more room if you’re having guests stay the night. A desk can be transformed into a table when needed. Comfortable chairs that can double as a desk or dining chair would work. Think outside the box. Color Scheme – There is no need to stick to one paint color in a small room. Think about an accent wall. Cobalt blue against 3 white walls will make the room appear wide open. You might even consider a focal wall with stripes. Black and white is classic and pretty much matches every color scheme. Splashes of color throughout the room will add depth. Paint the windowsill a fun color, and maybe even the radiator if it is visible. It’s easy to brighten a room with funky printed lamp shades and eye-catching throw pillows. Lighting – The lighting of a room is really essential in opening up the space you have. Luckily, torchiere lights have come a long way and are available in many styles and even colors. They will cast light onto the celling and then back down on the room for a bright appearance. Recessed spot lighting will also make the space appear larger and visually appealing. If you have large windows, don’t cover them up with heavy drapes. Exposing natural light in your room is a wonderful way to make it feel more open and bright. Wall Décor – Another way to brighten a room and give it a more spacious feel would be to add a large painting to one wall. Too many prints on a wall may make the room look small and possibly cluttered. Choose a painting that reflects your personality and make the room your own. Beachscapes are always relaxing and inviting. Picture the inviting sandy beaches of Cape May on a warm August afternoon. If you are up for something a bit bolder, consider a mirrored wall. Not only do these wall mirrors reflect images in the room, they also reflect color and light. Odds and Ends – Although they may seem futuristic and not functional enough, Lucite® table and chairs really do an amazing job of tricking our eyes into seeing more space than there actually is. If you’ve got hardwood floors and need an area rug to warm it up, think stripes. Stripes will elongate the room and definitely make it seem like there is more space. Have a bookshelf? Don’t fill up all the shelves! Give your knick-knacks and books breathing space. Color coordinate if you can! If you’ve got a set of hard cover books that are all in the same color family, add a vase or bowl that matches and blends in. Better yet, paint the bookshelf to make it a focal point in the room. It’s also a good idea to have furniture with exposed legs. This lifts the furniture up and frees up the space that a sofa skirt would otherwise be hiding. Move your furniture away from the wall. This creates an illusion of space while making what space you do have more accessible to the light coming through. Just because you live in a small home or tiny apartment, it does not mean that you cannot make the most of your space! Bigger is not always better when it comes to home décor and making your rooms appear larger and brighter. Some people choose to downsize after their kids have left the nest, or even just want less space than what they have. Put your own unique spin on your space and enjoy every moment at home! The decision to rent or buy a home can be overwhelming. There are many headlines in the news about home ownership. The most popular and beneficial recent story is that mortgage rates are at historically low rates! The average 30 year mortgage rate has fallen to 3.65% (Freddie Mac, February 2016). What exactly does this mean to a renter? Let’s take a look at the benefits of renting versus buying. Perhaps you are unsure of how long you are going to live in a certain area. Renting from month to month allows for a move to be made quickly if you need to relocate for a job. Renting means if something breaks, it will not need to be fixed by you! Instead of taking a trip to Home Depot to find out how to fix that leaky faucet, you can stay put and advise the landlord of the issue. Renting will help build and establish your credit. By making all of your rent payments on time, you are creating a helpful history. When it comes time to apply for a mortgage, you’ll have the tools you need. Be on the lookout for rent fluctuation. As markets become more populated, rates will increase. The average rent increase can be 5% annually but may soar higher. Owning a home is a good investment. With every payment made on your mortgage, you are building equity. A general rule of thumb – if you plan to live in your home for at least five to seven years, the expenses of purchasing that home are more likely to be offset by increased housing value and accrued equity. We recommend speaking to a Weichert Financial expert to learn more about the benefits and how mortgages and equity work. Owning a home means it is yours. While in a rental, painting and decorating may be discouraged, but when you own your home you can make it your own. Be as colorful or as simple as you want. When it comes to home design, you are in control. If the kitchen needs a redesign, you may want it tackle it yourself or select a local contractor. The sky is the limit when you customize your home to your liking. Renters are unable to reap these benefits. Property taxes as well as mortgage interest are eligible as tax deductions. The IRS will not apply a “capital gains” tax on your profits from the sale of your home, should certain requirements be met. Versatile,custom built colonial home , Six bedroom , five full and one half bathroom, , Brazilian cherry floors, high ceilings, recessed lights, crown moldings, 3160 sqft, on double sized lot, shed, conveniently located close to all major routes , GW Pkwy , shops, library, schools.Home Warranty.